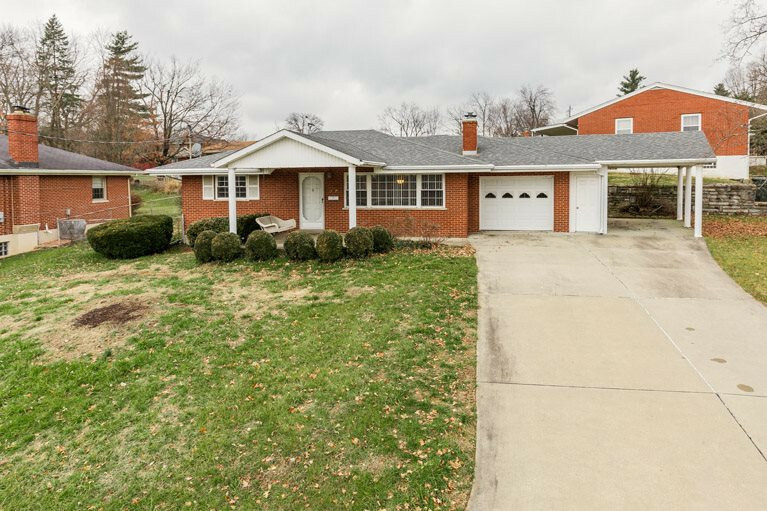 Charming brick ranch, 2 bed, 2 full bath, move in ready, refinished hard wood floors on main level. Large basement with walk out, low maintenance back yard, long driveway with 1 car garage, 1 car port. Walking distance to Rainbow park and other local shopes. Conveniently located to all NKY and Cincinnati has to offer! !